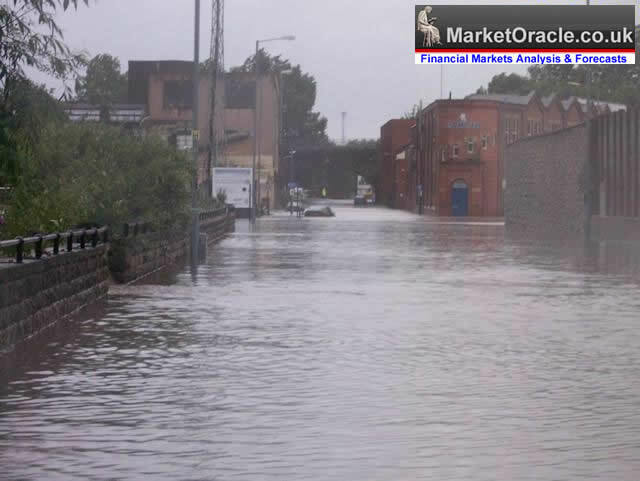 Sheffield Hit by Worst Flood in One Hundred and Fifty Years - A Black Swan Event! 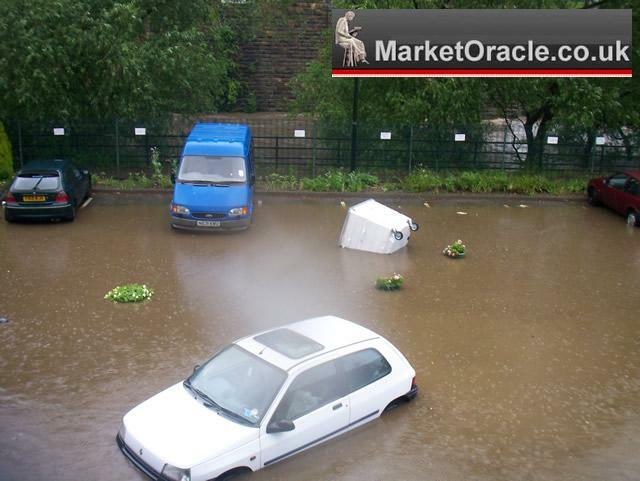 The day for Sheffield, a northern English city started as usual, wet and rainy, yes there have been forecasts for a wet June and possible flooding in Northern England, but Sheffielders felt safe in the knowledge that their hilly city is not prone to flooding. 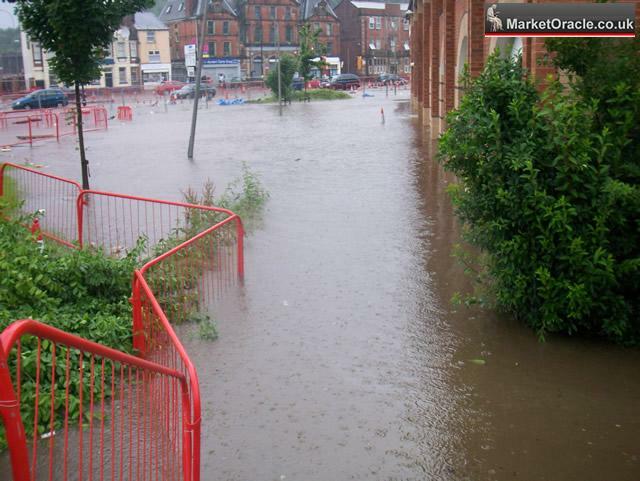 Not even Sheffielders remember when the last big flood occured. Digging back into history you would have to back nearly 150 years to 1864 when the Dale Dyke Dam burst. 1.30pm - The River Don that runs through the heart of the city was a raging torrent, but in the near 15 years we have been in our current premises, I have seen this many times before, many times. 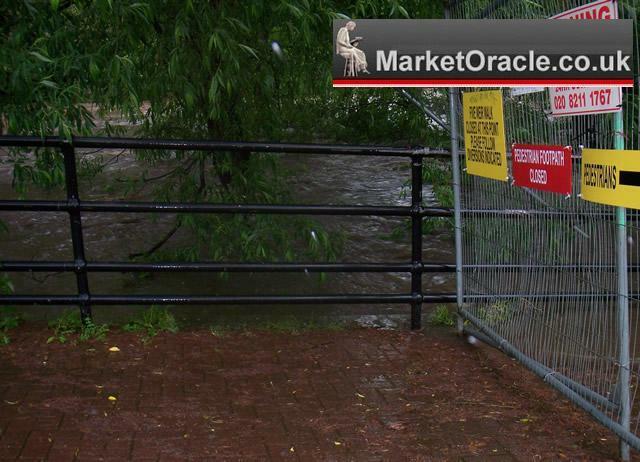 A colleague suggests that the river is going to burst its banks, having only been with us for barely 2 years, he obviously was not party to my inside knowledge that it has never flooded in at least 15 years, nor have I known any serious flooding in Sheffield in the 40 years I have lived here. So I ask my colleague to put his money where his mouth is, a bet ! "I bet you £50 the river won't burst". But he won't take the bet ! About 10 min's later, 1.40pm with the waters rising, I venture out to take a closer look. 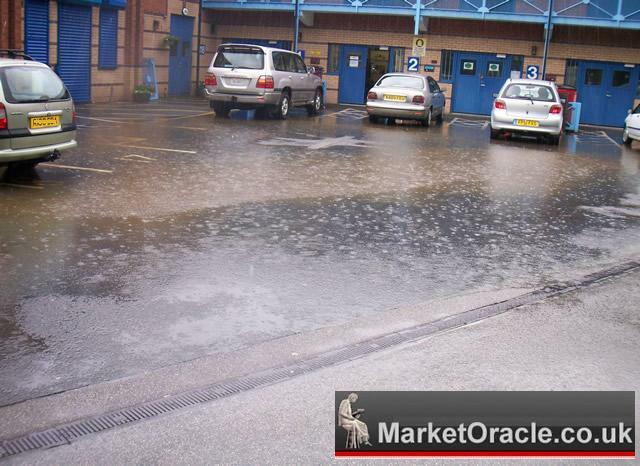 1.50pm - The drainage appears to be failing in the car park. Which is alarming because if the drainage is failing then it does not matter of the river bursts its banks as we could still yet get flooding. 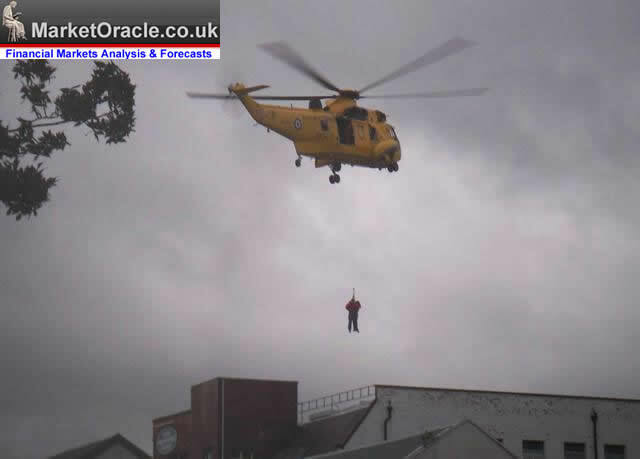 So I decide to move my car to a little higher ground, out of the car park. 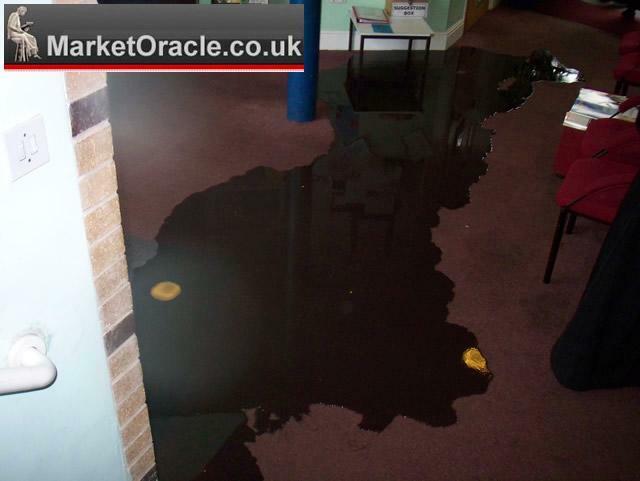 1.57pm - Barely 2 minutes later the flooding at reception worsens with the waters rising very fast. With very little that can be done to prevent the inevitable. 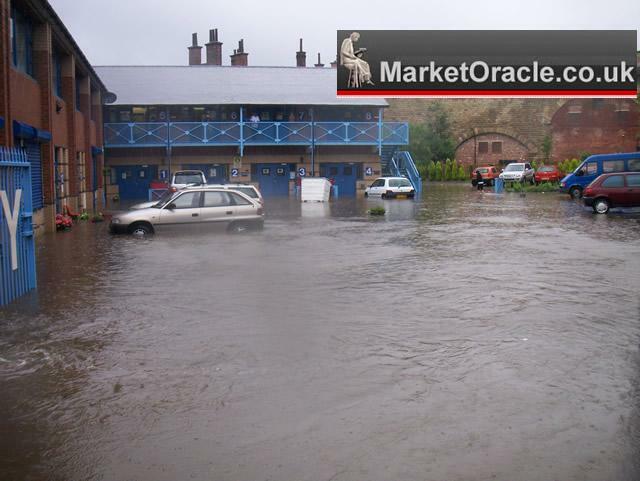 2pm - Within 10 minutes the car park started to sustain serious flooding. Given the flooding in reception and the car park flooding, I decide to call it a day and instruct our personnel to go home. 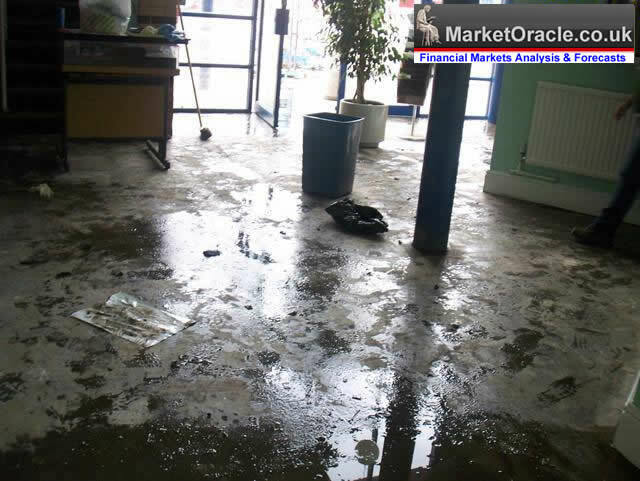 2.02pm - The front of the building is already flooded, as the drainage system completely fails. 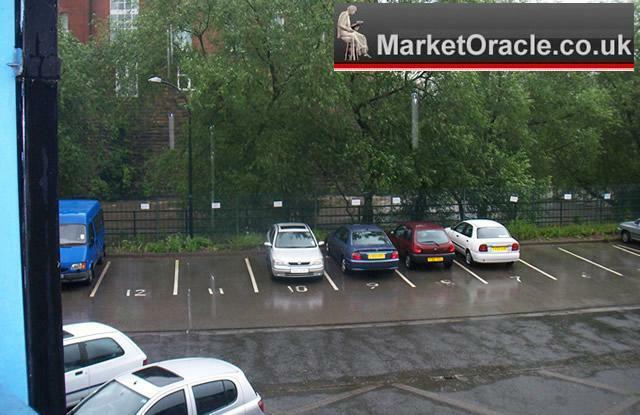 2.17pm - Not everyone has headed the advice, one of the remaining cars literally starts to drift in the car park. 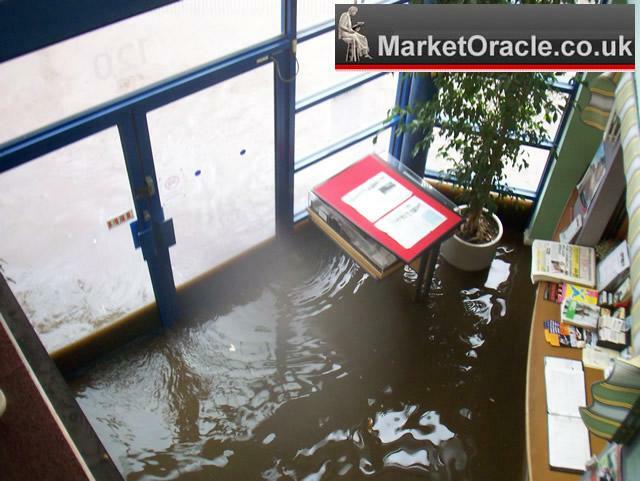 2.21pm - The Reception area is flooded by 6 inches with at least another foot of water building up. The building at this point is closed. 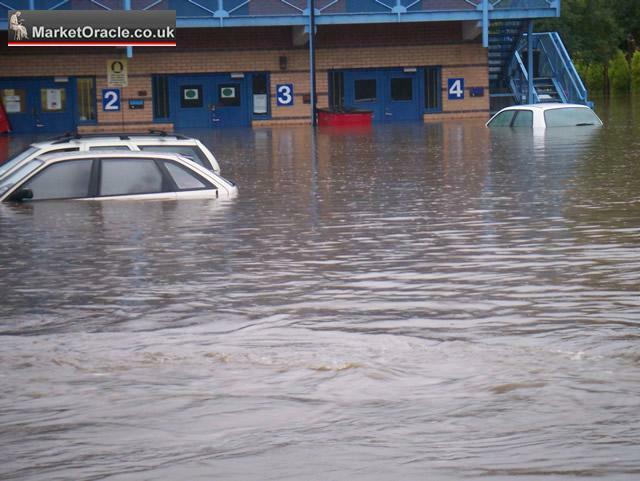 3.30pm - The car park is completely flooded. 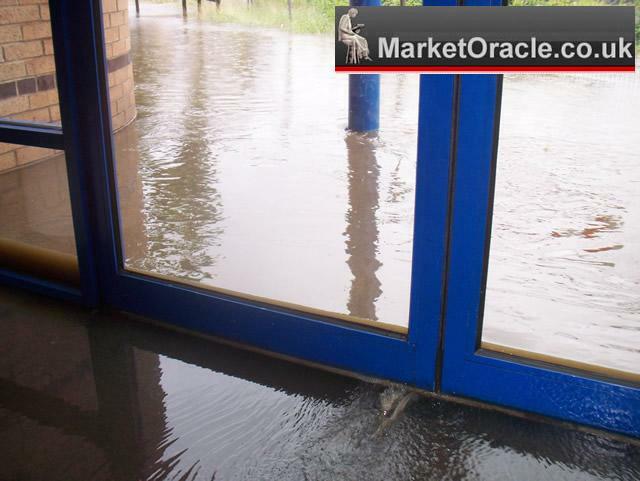 3.35pm - The front of the building is under at least 3 feet of water, which means the offices will have sustained serious flooding. 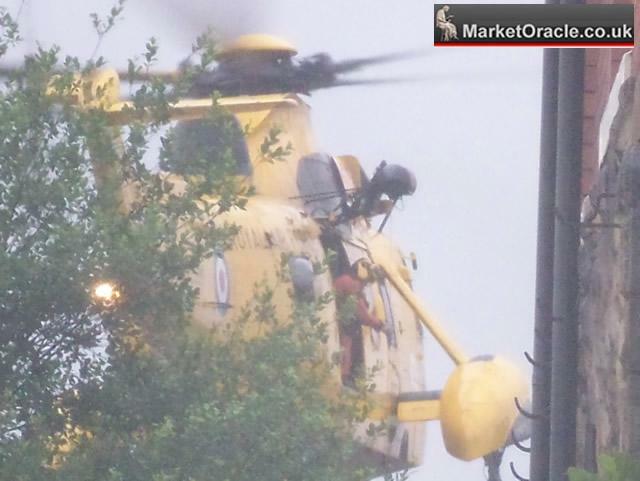 Throughout the late afternoon and evening, three RAF helicopters rescued hundreds of trapped people in neighboring buildings as the water levels continued to rise. At the time of posting this article there were two confirmed deaths in the city, one of which was in the immediate vicinity of our building. 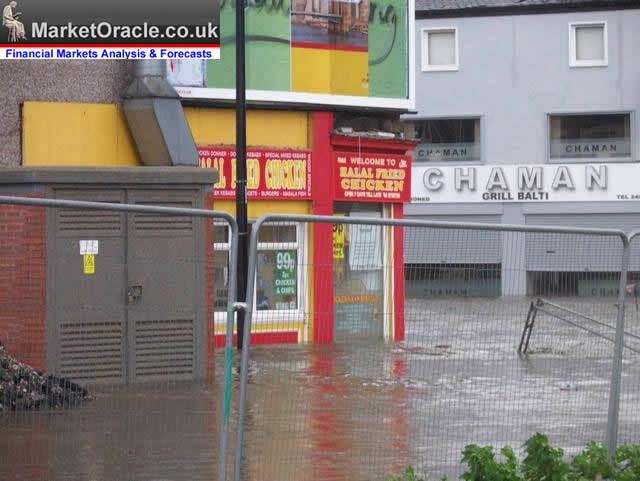 Serious questions need to be asked as to why the UK's fifth largest city has such an inadequate drainage system. 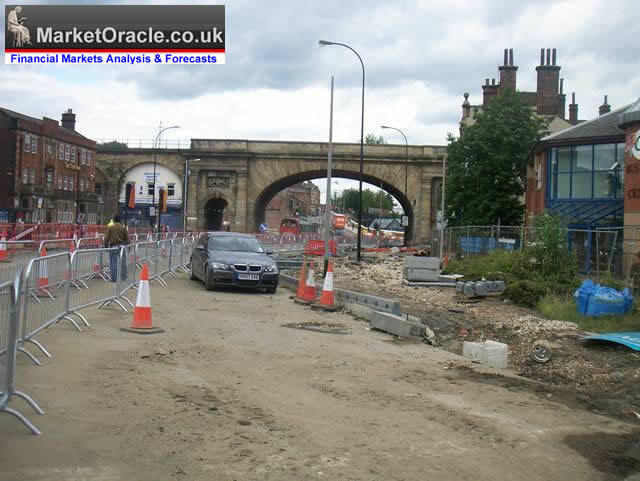 Especially as the area is under going a construction boom with many developments near completion now damaged by flood waters. 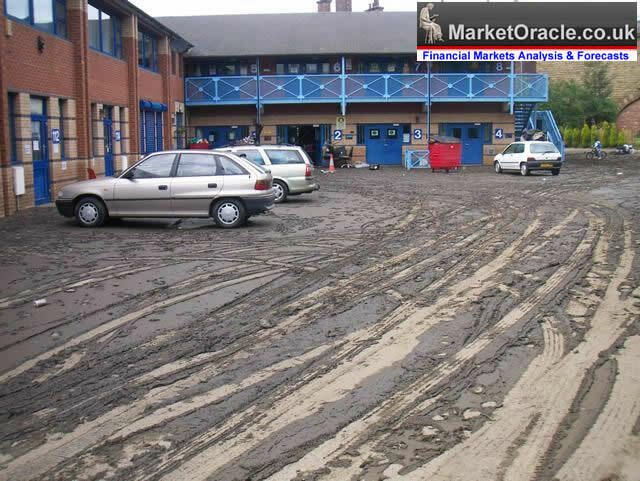 The Car park though now dry, is caked in at least inch deep of toxic mud which needs to be removed. The clear up of groundfloor workshops has already begun. The once flooded reception area is being stripped bare. 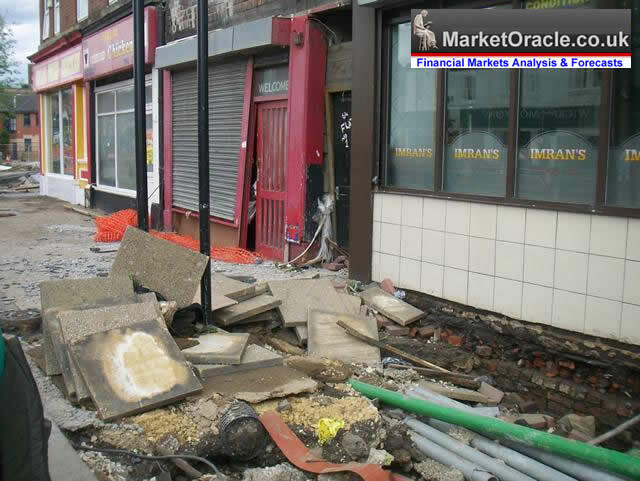 Shop fronts show extensive damage with footpaths literally washed away revealing gaping holes that some people fell into on the day of the flood. 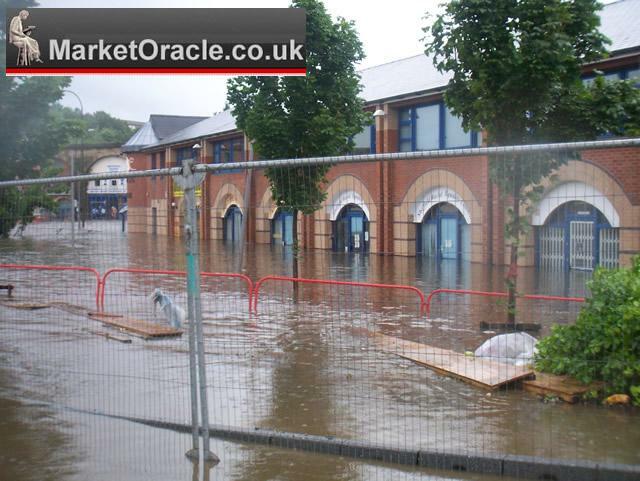 Having seen all the news footage of the floods over the last week your photos are the most dramatic. Read the article in the Guardian this morning and came to look at your shots. Quite incredible. thanks for doing this timeline. i am doing a school project on the floods and found this very usefull. 24 Jul 07, 22:08 zeppelin rools!!! I agree - they most defnitly do!! 29 Aug 07, 02:48 God Bless us all ! God bless us all ! And hope Sheffield people never feel such a negative event again. However, this event has huge similarities with today's global financial markets. There is helicopter ( Central Bank Liquidity ), ignoring the negative signals ( expanding the monetary base and credit facilities ) as such. hi im Emily and the reason i am on here is because i am reserching for a school prodject due 2 be handaed in tomorrow!!!yikes! I'm a journalism student and I'm working on a piece about the flooding this year and was wondering if you would be willing to provide me some photographs from 2007. I would accredit you for them. I live very close to the above incident, and personally had no idea of the extent of the floods. Its quite incredible. Lets hope this doesnt happen again, eh? I have read the incredible article on the 2007 floods on your website. I work for the Environment Agency and am currently working on a project with a children's Lifeskills centre who educate chidren on dangers they may come across in life. We are looking for a range of photos to use in worksheets to show how quickly floods can happpen. Would we be able to use some of your photos in the sheets? Feel free to utilise the photos as you see fit.